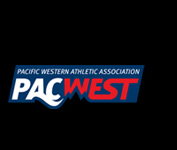 The Cascades men’s golf team won the PACWEST title for the second straight season. 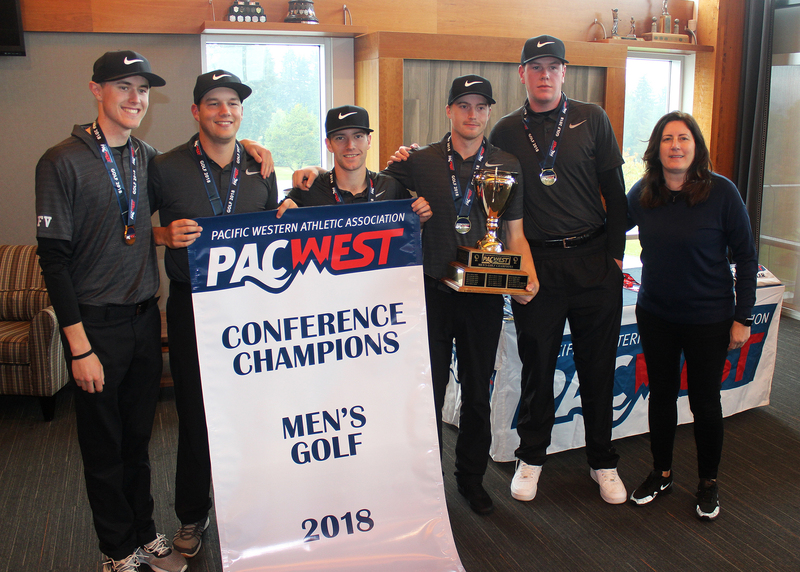 The University of the Fraser Valley men’s golf team turned in a dominant performance at the PACWEST championships in Nanaimo, winning the team title and earning two individual medals. The Cascades claimed the conference crown for the second year in a row and seventh occasion overall, posting a cumulative score of 889 over three rounds at Nanaimo Golf Club. That left them 18 strokes clear of the runner-up Camosun Chargers (907), while the UBC Okanagan Heat (923) took third. Leading the way for the UFV squad were Daniel Campbell and Kyle Claggett, who finished one-two in the men’s individual race. Campbell won the PACWEST individual title for the second straight season – the Bellingham, Wash. product built a massive five-stroke lead after firing a 68 on Friday, and he followed with rounds of 69 on Saturday and 77 on Sunday to finish at two under par for the week. Campbell’s closest pursuer was none other than teammate Claggett – the sophomore from Mission, B.C. carded rounds of 75, 69 and 74 to finish at +2. Wyatt Brook (+6) of the Vancouver Island University Mariners took the bronze, outlasting Dustin Franko of the Douglas Royals in a playoff for the final podium position. 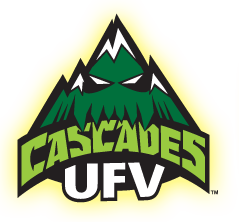 Cody Stewart (+12, T-8th) and Zach Olson (+14, T-10th) both notched top-10 finishes for the Cascades, and Ben Whiton (+18, 18th) came through with a solid final round to help the UFV squad sew up the title. 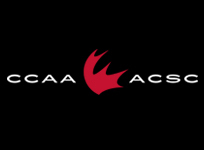 Up next for the Cascades is the Canadian Collegiate Athletic Association (CCAA) national championships, which run next week, Oct. 15-19 in Medicine Hat, Alta. No. 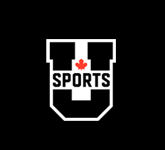 1-ranked UFV will be looking for its second consecutive CCAA title, and third overall.